Biblical Archaeology Review features an interesting discovery about Jesus’ childhood made by Ken Dark and the Nazareth Archaeological Project. Under the Sisters of Nazareth Convent in Nazareth, Israel, a dwelling was found that is thought to be the childhood home of Jesus. Ken explains what remains were found in the home and the evidence that points to this amazing new possibility. A seventh-century pilgrim account called De Locus Sanctis, combined with the items, structure and layout discovered, all suggest this is where Jesus was raised. Ellen White, author of Biblical Archeology Society’s article “Has the Childhood Home of Jesus Been Found,” writes, “Ken Dark also discusses the relationship between the childhood home of Jesus, Nazareth and the important site of Sepphoris. It has been thought that Sepphoris would have provided Joseph with work and Jesus many important cultural experiences.” For details about this new archaeological find see Ellen White’s full article on Biblical Archaeology Review titled “Has the Childhood Home of Jesus Been Found“, or see this story in the March/April issue from Biblical Archaeology Review! 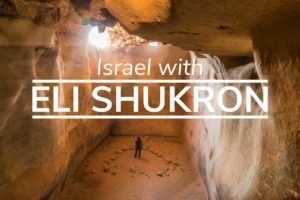 Our Israel Tours pass straight through Nazareth offering an exclusive look at this landmark discovery. Check out our current Biblical cruises or tours. Reference: White, Ellen. “Has the Childhood home of Jesus Been Found.” Bible History Daily. Biblical Archaeology Society, 02 March 2015. Web. 06 March 2015.